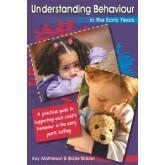 The word 'behaviour' is often taken to only refer to inappropriate behaviour. However, by opening out our thinking and recognising behaviour as a means of communication we are much more likely to be able to support children’s development more effectively. As momentum around early childhood education for sustainability has built over the last decade, it is evident that starting sustainably in early childhood is not only possible, but also necessary. 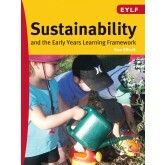 For children, families and educators to collaboratively construct sustainable early child communities is the goal and this can be facilitated by implementing the EYLF through a lens of sustainability. Reflecting on and implementing the EYLF from a sustainability perspective is a critical starting point for every early childhood community. 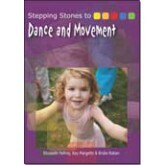 With a wide range of imaginative and practical ideas to dip into this book is guaranteed to keep children fully engaged. 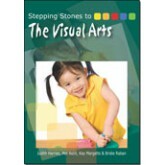 It features both new and familiar topics to create a variety of art. 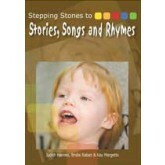 A great resource for exploring a wide range of traditional and modern stories, songs and nursery rhymes. An essential tool for developing children’s memory and creative listening skills. 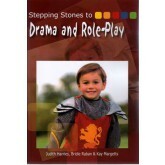 This book develops children’s sense of drama through simple drama games such as freeze framing, mime and progressing to more character-based and role playing drama. A practical and imaginative guide brimming with ideas and activities to help early years practitioners develop creative approaches to drama, mime and role-play. This book covers 40 of the most popular topics in the early years, from animals to weather, making it easy to dip into and combine with the Learning Outcomes of the Early Years Learning Framework. 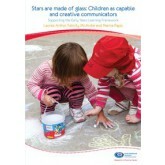 This book will help you understand: the many ways that children communicate; how children develop understandings of literacy and numeracy concepts and processes; the role of arts and information and communication technologies in communication; learning environments that support children to be capable and creative communicators, and the role of the educator in supporting children to be effective communicators. 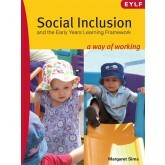 This book aims to walk you through a way of working that honours the principles of the EYLF and it doesn’t matter if you are working with a child who is identified as having additional needs or a child who is not identified in that way. This book draws on current research findings and observations to present an informative and practical guide to maximising children’s sensory play opportunities. 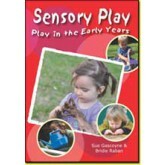 It also sets sensory play in a wider context, highlighting links to child development theories. 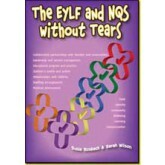 Authors Alma Fleet and Catherine Patterson revisit the EYLF and its Educators' guide; they have explored some examples. and provided provocations for further thinking. They are reframing assessment as documenting and demonstrating children's learning (outcomes), a stepping stone to reflective planning, authentic communication with families and professional recording. Role play is a rich and often undervalued area of play in which children are able to explore situations from their own or another person’s perspective. 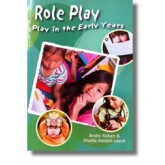 This book covers every aspect of role playing, with scenarios linked to the five learning outcomes in the EYLF, to supporting play and helping children create their own props to encourage free-flow play. 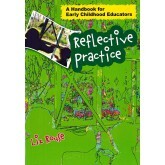 This book develops an understanding of reflective practice - now a key component of the training for the early childhood educator - as it applies to the early childhood professional.